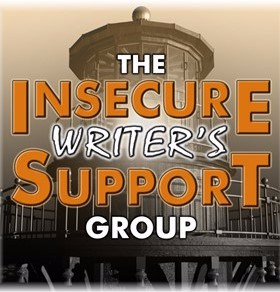 Today is the first Wednesday of the month and time for the IWSG Monthly Blog Hop. 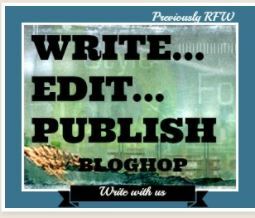 Since I can’t seem to get the HTML code to work on my blog, I’ll post a link at the bottom that will take you to the page where the other bloggers’ links are posted. You might want to check out their blogs and the IWSG website. I’m very thankful to this supportive group of authors and writers. It’s amazing to me how some of my favorite authors were not only insecure about their writing but their emotions ran the whole gamut to even hating their writing. I was going to write about my NaNoWriMo experience today but something happened on the way to my blog. I saw a post. It was one simple sentence by a writer that wanted to write a book about something very important to them.It ended with the writer expressing the fear that the book wouldn’t be good enough. I instantly understood that fear. I’m currently working on a novel with a very timely social theme. One that I feel so strongly about that it just crushes me. I see it. I feel it. I have to write this story. Then there is the anxiety, the fear that hasn’t stopped me but it hits me out of the blue or out of the darkness. Will it be good enough? Will my writing be good enough? This story needs to be told. It needs to see the sanitizing light of day. But can I do it justice? This story deserves the best. That can’t possibly be me. Sometimes we find the answers in the most unexpected places. By taking the time out of what I was going to do, to try to support another writer, I found the answer to my own question. I told this person what I just expressed here about my own fears but I went on to say that I was going to write this book to the very best of my ability in my unique voice because I had to do it. That is all any of us can do. Do you feel strongly about your story? If you were to only write one book in your lifetime, would this be it? Are you willing to write, rewrite, rewrite and edit this book until it tells the story, the message, you want the world to hear? Even the greatest writers had their doubts. You absolutely can do this if it’s what you truly want to do. I don’t know what this other writer will do. That’s out of my hands but I know what I’m going to do. Perhaps someone else could get more attention or write it more eloquently but no one has my unique combination of passion and voice. Sometimes we find our answers in the most surprising places. What a wonderful post that completely exemplifies what the IWSG is about – encouraging others and in the process receiving encouragement yourself. Answers do pop up in very unexpected places if we’re open and looking for them. Thank you for reading my post and for your comments. I was getting ready to write something different but I reached out and the universe reached back. I knew this was what I needed to share and you’re so right about this group. I found this group through one of the members. Another serendipitous moment! I’m so glad I did. Although I don’t post much I’ve gotten so much from this group. That’s great advice and that’s what got me through NaNo. My first NaNo and I have approx 60K words. It’s the second sentence I was struggling with but you’re right. Thanks for reading my post and for the encouragement. Happy Holly Daze! Be brave and just write. Don’t worry about impressing anyway right now but yourself. Don’t even think of people reading it or submitting it. Just think about writing it for you. It takes a lot of stress off. Good luck!!! Thanks for reading my post and for the words of encouragement. It’s sincerely appreciated. Happy Holly Daze! If you feel strongly and passionately about it, then you are indeed the best person to write it! Excellent post. No one can write it like you can. And that is that. Hello Liz! I see you signed up the WEP challenge so I popped over to meet you! I love your attitude. I always prefer to read novels which deal with real-life issues and most of my flash fiction/short stories are similar. Some people say they read to escape and don’t want a book to depress them, but I don’t think a book with serious themes needs to be necessarily depressing. So, go you. I look forward to following your journey. BTW, you can try out an extract for the WEP challenge. Many authors do this to get early feedback on something they’re writing. May 2018 be glorious for you! Thanks for the encouragement! It’s always appreciated and thanks for visiting my blog. I like to read and write a very wide range of genres. My hope for this book is for the reader to be entertained while reading about a serious topic and to experience a range of emotions. I like the idea of the extract. I’ll give it some thought. I’m looking forward to participating in the WEP challenge.